This course is an introduction to the foreign languages and cultures taught in FLL: Greek, Latin, German, French, Italian, Russian, Arabic, Japanese and Chinese. By learning basic facts about these languages, such as information about their origins, writing systems, grammatical structure, and level of difficulties for English speakers, students will enter the fascinating world of human communication. How are languages different from one another? How are they similar? How do people learn one, two or more languages? What happens when the speakers of two or more languages get (and stay) in contact for a while? Similarly important are questions about inter-cultural communication. Why do people experience culture shock when they go abroad? How do people in different countries think and talk about time, space, emotions, etc.? By learning about other languages and cultures, students also gain more knowledge about themselves, their own languages and cultural patterns. This course is designed to introduce students to the history, literatures, and art of archaic and classical Greece, and to trace its influence on Western Civilization. The class will emphasize Greek culture as manifested in the various primary literary sources, including epic, tragedy, comedy, historiography, philosophy, rhetoric, and legal speeches. In addition, we will look at Greek vase paintings, sculpture, and architecture, and discuss the historical and cultural context of these works. In exchange for your work, I offer you nothing less than access to some of the greatest works ever written. These texts are full of innumerable riches; they are the very basis of what makes the West what it is today. Our Greek heritage is like a million-dollar inheritance left us all by our ancestors. I will help you learn how to cash in on that inheritance by learning to read and think about Classical history, literature, and art in a critical way. The history of Rome is immense. It spans over 1,500 hundred years, equivalent to the United States of America’s existence six times over. To cover all of Rome’s history in depth and in one semester is not possible, but all is not lost. This course provides a survey of a civilization that began as a village around the banks of the Tiber river in central Italy around the mid-8th century BCE, grew into the western world’s largest and most powerful empire for more than a thousand years, then collapsed in the 4th century CE. To this day, however, Rome’s legacy – its language, history, art, literature, and architecture – still endures and informs many facets of the modern day, from our law codes and institutions to the fine arts, and much more. This course examines the origins of Rome and the Roman cultural experience. The tradition of the Trojan War begins with Homer’s Iliad which presents to us a strange world of passion and violence—the Iliad literally begins and ends with Achilles’ destructive anger. Yet, there is more to the story, for the heroic values expressed in the poem form the backbone of a long and enduring tradition of the war that survives into modern times. In this class, we will study the social, political, and aesthetic dimensions of the tradition of the Trojan War from Virgil’s Aeneid to Jean Giraudoux’s “The Trojan War Will Not Take Place” (La guerre de Troie n'aura pas lieu, 1935) and beyond—including, among others, Wolfgang Petersen’s film Troy (USA, 2004). The Trojan War is more than just the archetypal conflict of the Western tradition: the Trojan War, as this course will explore, provides a model for a society to consider its values and to craft an identity. The course will focus on Homer’s Iliad, select tragedies by Sophocles and Euripides, Virgil’s Aeneid, and some more modern works of literature and cinema (Dante, Chaucer, Shakespeare, Baudelaire, Cavafy, Borges, Eastwood, Petersen); we will trace the mythology of the Trojan War in Greek art; and we will study the archaeology behind the enduring myth that is Troy. This class introduces students to Japanese everyday life—language and social relationships, family, work, school, religion, and leisure. We will inquire into how we think about and represent Japan and how the Japanese represent themselves to the world, what “everyday life” means for many Japanese people in the 21st century and What are some of the challenges in interpreting the images of Japan with which we are presented. Course objects include being able to identify basic terms and concepts associated with studying Japan, and learning to recognize and question our own assumptions about Japanese culture. In addition to readings in anthropology and short fiction, the class materials include documentaries and some contemporary Japanese film. Adult-youth misunderstanding, mistrust, and miscommunication . . . an African theme as much as it is an American one. This course will concentrate on the cultural differences and also parallels around the generation gap dynamic. We will investigate issues such as school, respect for elders and traditions, love and marriage, politics, and social hierarchy. We will ask questions such as why traditions are so important to adults and so constraining to youths, exactly how universal the problem seems to be, how African society differs from American society, and whether generational conflict is good or harmful for a society. Entertainment and drama offer us one of the earliest views of Greek and Roman culture and the earliest attempts of a civilization trying its hand at literature. Ancient drama is especially famous for its introduction of various genres: tragedy, comedy and satyr plays, comic stock characters, such as the boastful soldier, the young lover, crotchety old man, pimps, prostitutes and parasites, and the exploration and recreation of famous Greek myths, such as the story of Medea and Oedipus. The comic characters and situations provide a useful lens into the make-up of Greek and Roman culture since they provide us insight into some core Greek and Roman values. This class explores Greek and Roman perceptions of food within its appropriate cultural context, including its consumption, preparation, presentation, excretion, uses and abuses! We will examine closely a wide range of texts in translation, as well as secondary scholarship, on authors from the Greek Homer, through the Roman Petronius, a span of about 800 years. In the course of our survey, we will learn about the wide variety of the function of food, from its religious and ritual to its social and culinary uses. We will discover how food is essential to demarcating class, forging personal and social identities and for criticizing political figures. This class explores the definitions and development of the generic and cultural modes of ancient Greek and Roman comedy and satire. This course will emphasize the close analysis of texts in translation, the transmission and reception of these forms in the post-classical era, with a close look at Shakespeare, Swift and Mozart’s Marriage of Figaro, and culminates with an analysis of comedy and satire as cultural modalities in contemporary popular media such as film, television, stand-up and music. The cultural and historical contexts of each text will be supplemented by course lectures, secondary literature and student reaction papers throughout the semester. Class discussion is a major component of the course and will stress each text’s topicalities, major themes, staging and reactions to supplementary readings. During this course we will examine similarities and differences between the great Greek epic poets Homer and Hesiod and several Near Eastern texts from Anatolia, Mesopotamia, and Egypt, as well as select passages from the Bible and other Western Semitic texts. The class will explore cross-cultural similarities between texts in terms of structuralist and psychoanalytic theory and discuss cultural contact between Greek and Near Eastern peoples through travel, intermarriage, and economic exchange. In addition to our reading of original texts, we will look to art, archaeology, and select scholarly works to guide our thinking about the possibility of cultural exchange through trade between Mycenaean and Near Eastern peoples during the Bronze Age. Finally, we will trace the trajectory of scholarly debate over Near Eastern “influence” on Mycenaean/Greek cultures, particularly as set forth in Martin Bernal’s seminal Black Athena (Rutgers, 1987) and the debate it sparked (including the special Fall 1989 issue of Arethusa on “The Challenge of Black Athena,” and the volume Black Athena Revisited, edited by Mary R. Lefkowitz and Guy MacLean Rogers). This course will examine the representation of the tyrant in ancient Greek history, literature, and culture. Who is the tyrant (tyrannos, in Greek)? Tyrants were real figures in the early history of Greece, and they play prominent roles in the stories Greeks narrate about their own past and their attempts to craft a cultural identity of “Greekness.” Sometimes, the tyrant is represented as a cultural and ethnic outsider. Elsewhere, the tyrant is represented as Greek, though an outsider to a particular community where he seizes control by means of his superior intelligence, strength, and charisma, and comes to dominate the people. And finally, sometimes the tyrant becomes a figure for the problematic relationship between mind and body in ancient Greek philosophical discourse. The tyrannical soul indulges too much in pleasure and ironically becomes a slave to his own passions.In this course, then, we will trace the figure of the tyrant and his uses in Greek thought, particularly how Greeks thought about themselves, and consider how these representations resonate in our interpretation of ancient literature and of our own modern world. In Western culture death is ambiguous: it is at once a banal biological fact and a defining biographical event. As Martin Heidegger mused, since death is the point at which we cease to be, it is itself nothing, but as the end of our being (which is not itself part of our being), it gives our life meaning. Greek poets and philosophers considered death not only that which gives meaning to our lives, but as that which gives meaning to our afterlives as well. In the Phaedo, Plato argues that philosophy was the art of learning how to die well—in other words, if there is a soul that lives on after we are gone, death is not only an end, but a beginning, too. How we face death defines us as individuals; how we treat our dead defines us as a culture; how we conceive of death shapes our world-view and religion. This class will explore the concepts of death, the soul, and the afterlife in ancient Greece and Rome. Through an exploration of literature, art, and culture, we will see how these concepts and the cultural practices and institutions that dealt with death came to shape our own modern views of these topics. Classical Studies 334 Homeric Cinematography. This course will explore the cinematographic elements of ancient Greek literature—that is, the way it “writes” or “draws” [graphein] “movement” [kinema]. The goal of this course is to learn to become sensitive to the “visual” elements in ancient literature through a close analysis of ancient Greek texts, filmed versions of and allusions to those texts, and key concepts in film theory. We will focus on Homer’s Iliad and Odyssey, as well as select Greek tragedies, and compare them with films by Clint Eastwood (Unforgiven, Letters from Iwo Jima), Terrence Malick (The Thin Red Line), Joel and Ethan Cohen (O Brother, Where Art Thou), Sergei Eisenstein (Strike, Battleship Potemkin), and others. At the end of this course, students will have gained competence in analyzing and writing about ancient literature and modern film. Exceptional cities incite great leaps of the imagination, while works of art shape urban life. As Charles Baudelaire wrote, “Parisian life is, in spite of everything, fertile in marvelous poetic subjects . . . it surrounds us like the air we breathe but do not see.” This course explores the relationship between writing and one of the greatest cities, Paris. It is partly a history of culture. We will look at several significant artistic and literary movements grounded in Paris between the late seventeenth and the early twentieth centuries, including Salon sociability, the Enlightenment, the rise of the novel, Realism, the invention of the modern, Naturalism, and Surrealism. And it is partly a cultural history. We will examine important historical moments and questions, including the invention of public life, the rise of consumerism, the diversity of people in the city, the distance between rich and poor, the social roles of women and men, and the influence of other cultures. How can we understand the conundrum of Paris? Is Paris, as American writer Henry James wrote, “the most brilliant city in the world”? GERMAN/COMP/ENGL 336.003 What's at Stake in Vampirism? In this course, we will examine films that the fascination with blood-drawing creatures predominantly evident in Western cultures. We will analyze different cultural representations of vampires from ancient Greece to our own age. Why is the myth of the vampire connected to the myth of the undead (Nosferatu - means "undead" in Romanian)? At what periods in history does the vampire haunt the artistic imagination of humanity? How did the vampire of folklore and myth turn into the elegant "Dracula" of Victorian England? What is the correlation between the fantastic and the real in these texts? How does vampirism relate to questions of colonialism, gender, and sexual identity? We will analyze both literary and filmic representations of vampirism. Readings will include Bram Stoker's "Dracula," Anne Rice's "Interview with the Vampire," "The Penguin Book of Vampire Stories," as well as one of two New Mexico vampire novels, Suzy McKee Charnas' "The Vampire Tapestry," and/or Aaron Carr’s “Eye Killers”. Films will include Murnau's and Herzog's "Nosferatu," Tod Browning's, Andy Warhol's, and F.F. Coppola's "Dracula," "Interview with the Vampire," and "The Addiction". Possible guest lectures by Suzy McKee Charnas as well as others on topics such as "Vampirism and Folklore," and "Vampirism and Medical History". For centuries, but especially since the dawn of modernity, the legend of the devil's pact has served as a metaphor for the desire to surpass the limits of human knowledge and power at any cost. 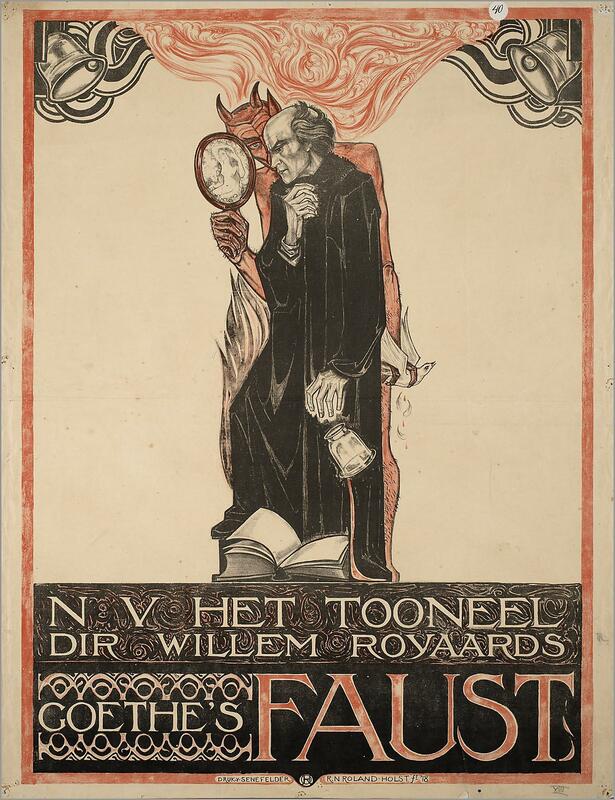 Starting with the sixteenth-century, this legend created two “myths of the modern individual” (Ian Watt): Faust, the academic, who in his thirst for knowledge and power sold his soul to the devil; and Don Juan, the ultimate seducer of women, who would rather go to hell than deny his carnal pleasures. The representations and variations of these damned heroic figures down through the ages tell us something about modern European and Western culture. What do these figures, and their variations, relate to us about human desires, contradictions, moralities, and art? We will address this and other questions by looking at versions of the Faust and Don Juan stories from Renaissance England to contemporary Hollywood. Steven Marks argues that the 19th century Russian radicals shaped the modern world by introducing “terrorist practices that have been in use ever since.” Claudia Verhoeven looks at Russian terrorism “not simply [as] a strategy…but rather a paradigmatic way of becoming a modern political subject.” In this course, we will examine origins and representations of terrorism in Russia. We will analyze a number of fiction and non-fiction texts about political violence written for the last two hundred years by Russian writers, poets, philosophers, journalists, researchers, filmmakers, and terrorists themselves, in order to understand the cultural, philosophical, and historical contexts, in which modern terrorism emerged and evolved in Russia. We will also explore the controversial concept of cyberterrorism as it becomes a more common means of political warfare in today’s digital world. Russia has always been a fascinating place, with its mixture of globe-shaking politics and world-class culture. The future -- whatever it holds -- promises nothing less. Through analysis of literature, film, and visual arts we will learn about Russia and the USSR in the twentieth century and its impact on the world; try to understand the present of post-Soviet Russia; and imagine Russia in the future. In an attempt to comprehend the Western puzzlement in dealing with unique Russian contradictions we will discuss the magnificence of Russian culture as well as look into the dark side of the Russian tradition, the destructive impulses of Stalinism and the Post-Soviet criminal world. Saints and sinners encompass some of the most complex and controversial characters in Russian literature and culture throughout the centuries, from Medieval Folklore traditions to the present day. In this course we will compare the two paths to holiness that existed in Russian culture: the principle of Christian non-resistance and the way of fighting for truth and justice. We will discuss the images of both traditional saints canonized by the Orthodox Church and non-traditional ones that, through metaphysical, social, and political constructs, originated in fairy tales, poetry, films, and literary works ranging from the 18th to the 21st century. We will find out why Russian saints and sinners are not always on the opposite side of the moral spectrum and analyze the dimensions and problematized concepts of sin and holiness through the images of Dostoevsky’s saintly criminals and Christ-like prostitutes, revolutionary terrorists who turned into Christian martyrs and cult heroes, Bulgakov’s charming and socially conscious Devil, and the post-Soviet vigilante Danila Bagrov who operates with the familiar Russian notions of truth and righteousness to justify “ethical violence.” We will examine the ways in which creative artists, writers, and thinkers in Russia take on aspects of both roles. This class surveys Japanese literature and culture (in translation) from the 8th through the early 19th centuries, with a focus on major literary works and performances genres in their historical contexts. Our readings include a section of Tale of Genji, an early 11th c. work written by a court lady that is sometimes referred to as the first psychological novel, as well as short fiction, epic, drama, literary diaries, and poetry written by men and women. In addition, the class introduces Japanese mythology, religion, folktales and popular literature, as well as the intersection between high canonical forms and popular performance. We consider the legacy of many of these Japanese classical texts and their reception and reinterpretation in contemporary Japan. Does China create an economic miracle that drives world economy significantly, or just pursue a reckless GDP growth that alters world environment irreversibly? Is China reviving by persisting with its cultural norms and Confucian thoughts, or still struggling with numerous ruptures between the modern and the traditional? How to understand tremendous and dazzling changes underway in China today? Literature will account for such a huge and seemingly impenetrable entity in an intimate way, i.e., by telling stories of people and land, of struggles and sufferings, and of dream and fate. The works are humorous yet heartbreaking, allegorical or epical, at times provocative, grotesque, and even subversive. This journey invites you to know China inside out. Authors of readings and screenings include Lu Xun, Shen Congwen, Xiao Hong, Wang Meng, Ru Zhijuan, Yu Hua, Gei Fei, Mo Yan and Wang Anyi. Knowledge of Chinese is not required. Many recent Japanese anime, videogames and live action films feature supernatural elements, from oni (monsters) to the long-haired avenging female ghosts in J-Horror films. This class will deepen your understanding of Japan’s ghosts, demons, and other paranormal phenomena by placing them in context, introducing the beliefs and folklore that engendered them and some of the literary works that have given them life from ancient times to the present. What can we learn about Japanese religious beliefs, history and cultural values from supernatural tales? What factors influence the representation of supernatural beings and events in a given literary work? How do we interpret modern adaptations of myths and legends? The use of the child narrator as critic of African society out of balance or plagued by injustice has been common since the late 1950’s. Ferdinand Oyono’s Une vie de boy (Houseboy, 1956) stands both as one of the classics of African literature as well as a perfect example of the critical eyes of an innocent youth revealing, in this case, the hypocrisy, deception, and cruelty of French colonial control in Africa. After independence, such narrative figures remained, although tending to focus more on the conflicts between the younger and older generations over the proper balance between social traditions and the benefits and ills modernity bring to a society. This class will look at a few of these earlier texts and ideas, but its main focus will be their application in the more recent manifestation of the child narrator in African literature – child soldier narratives. We will investigate the origins and resolutions of the conflicts, their literary representations, their effects on children, how they reflect broader cultural issues and debates, and what is being done to counter the practice. A course on African literature, with its long history, diverse regions, and many languages cannot hope to be complete. This course will therefore give an overview of African literature by focusing on three aspects of this literary arena. First, the course will include works from Francophone West Africa, Anglophone West Africa, and from northeastern “Islamic” Africa. Second, the course will concentrate on three reasonably distinct periods of post-colonial African literary production. These are the early 60’s immediately after independence when questions of identity and, ironically, European stylistics predominate, the late 60’s and early 70’s when authors start to break away from stylistic and thematic norms, and then the early 80’s when previously unheard voices and concerns began to emerge in African literature. Lastly, the class will be confined to fictional prose, largely short stories and short novels. Note that students wishing to read and write on other genres (poetry, plays, film, etc. ), languages (Portuguese, Swahili, Kikuyu, etc. ), time periods, or regions (Maghreb, southern Africa, Madagascar, etc.) are welcome to do so for their papers, final project, and/or presentation (see below). One of the fantasy locations people name for a vacation destination or second home is southern France. Why is this region, Provence, so loved and revered? Why not Paris, Normandy, or Denmark for that matter? The main reason is that Provence has its own unique and charming character separate from other countries and even the rest of France. This course investigates the cultural traditions and characteristics particular to Provence, including its history, language, cuisine, literature, music, art, architecture, and other cultural manifestations. The texts include short works and excerpts of history and literature, films, and some artwork, music, and food (sorry, no wine). There is also room in the course for a few topics of the students’ choosing. This class introduces the city of Edo (now called Tokyo)—its people and culture. The Edo period is also referred to as the Tokugawa period, named after the samurai dynasty that served as its leaders (shōgun) from 1603-1868. For Westerners, traditional Japan calls to mind “geisha” and “samurai.” Edo was indeed full of samurai, as well as artisans and merchants and their wives, and “professional” women to serve men’s needs (there were more men than women in the city.) The merchant class who patronized the city’s cultural productions, as well as artists, artisans, and workers who built the city’s physical structures also played a key role in creating this megalopolis. This class considers how this mix of people created an urban culture that, while drawing on the culture of Japan’s artistic (Kyoto) and commercial and financial (Osaka) centers, was nevertheless different from what came before. Through an investigation of Edo’s literature and performance, we will consider the values and aesthetics of Edo in the literature and lifestyle of Edoites, and reflect on their influence on contemporary Japanese culture. This course examines the reality and the imagination of magic in the ancient world, focusing primarily on the cultures of Greece and Rome but with reference to Jewish and early Christian thought as well. Ancient magic manifested itself in a variety of ritual acts which were described, explained, and caricatured in a fairly large number of texts written in antiquity, and it is by reading these texts that we come to an understanding of magic in the ancient world. Two questions which permeate the course are as follows: What is magic? How does ancient magic differ from ancient religion? To answer these questions, we begin with a brief overview of ancient religion (again, primarily Greco-Roman but with reference to ancient Judaism and Christianity) before continuing on to a full discussion of ancient magic. The very term “magic” originated in ancient Greece, and so we have occasion to discuss both the terminology and practice of magic in the ancient world. Apocalypse is a fascinating genre which is famous for its strange images, cryptic messages, and predictions of future events. In Apocalypse in the Ancient World, we examine the development of the genre of apocalypse, starting in Second Temple Judaism and moving on into early Christianity. After discussing the cultural and literary topoi of the apocalypse, we read a number of apocalypses, including the two included in the Bible (Daniel and Revelation) as well as other well-known apocalypses such as the Book of Enoch. We study the symbolism, message, and meaning of each to ascertain what they meant to their original readers and what they might mean today. After tracing the development of the genre through early Christianity, we conclude the course by examining the ongoing legacy of apocalypticism in our world today.